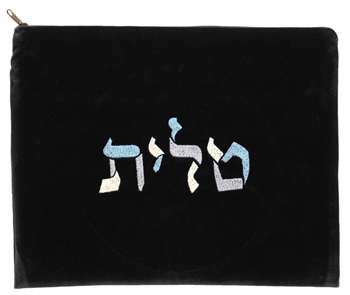 This navy colored velvet tallit bag is colorful yet simple and elegant. The bag has the Hebrew word “Tallit” embroidered in large print in the center. Each of the Hebrew letters is divided into sections and each fragment embroidered with a different pastel color thread.